This unique oracle deck is encoded with crystal frequencies, and the high vibrational energy of angels, ascended masters and goddesses, to empower you to channel the divine healing power of Heaven and Earth. 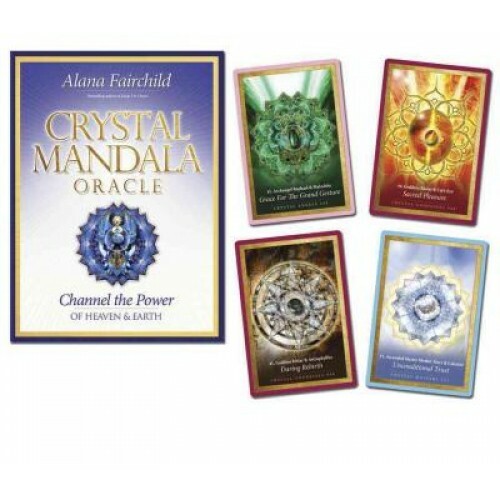 In this stunning deck, you will work with the vibrant crystal mandalas by Jane Marin. The cards author, Alana Fairchild, shares loving spiritual guidance from the angels, masters and goddesses to help you integrate the frequencies of the crystals and higher beings that are featured in each of the cards. The Crystal Angels will help you heal your body, mind and soul. The Crystal Masters will support your spiritual growth and help you successfully pass through spiritual tests and initiations. The Crystal Goddesses will empower you to embody your spirit and express your soul purpose in the world. Boxed deck. Cards measure 10 x 14 cm and includes 54 cards and 244-page guidebook.